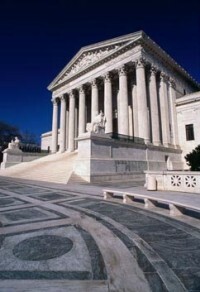 The U.S. Supreme Court limited workers' ability to sue employers for pay discrimination that results from decisions made years earlier. The court, in a 5-4 ruling, said that employers would otherwise find it difficult to defend against claims "arising from employment decisions that are long past." Lilly Ledbetter sued Goodyear Tire & Rubber Co., claiming that after 19 years at a company plant, she was making $6,000 (EUR4,440) a year less than the lowest-paid man doing the same work. The deadline set in the law means nothing if employees can reach back years to claim discrimination, the company argued to the court. Justice Samuel Alito, writing for the court, agreed that Ledbetter's claim was untimely. The decision broke along ideological lines, with the court's four liberal justices dissenting. Justice Clarence Thomas, who once led the federal Equal Employment Opportunity Commission, sided with Goodyear. Five years ago, Thomas joined his liberal colleagues in a 5-4 decision that made it easier for victims to complain about long-term job discrimination or harassment when shabby treatment was extended over a period of months or years. Ledbetter argued that each paycheck that was smaller than those received by similarly situated men amounted to a new discriminatory act. She didn't sue earlier, Ledbetter said, because employees are less willing to rock the boat when they are new on the job and have no reason to believe there could be such pay disparity. The EEOC, which is responsible for investigating workplace discrimination claims, said Ledbetter's claims could go forward. After a trial, she was initially awarded more than $3.8 million (EUR2.8 million). A judge reduced the award to $360,000 (EUR266,000). The 11th U.S. Circuit Court of Appeals overturned the verdict. The appeals court said Ledbetter mainly was complaining about decisions made by her supervisors long ago, well after the deadline for raising allegations of discrimination. Some civil rights groups sided with Ledbetter, saying employers would not suffer any consequences for recurring discrimination if they could rebuff allegations merely by arguing that the deadline for complaining about the first episode passed. Goodyear denied discriminating against Ledbetter. She received periodic raises despite being ranked near the bottom of her group of workers, the company said. The U.S. Chamber of Commerce and the National Federation of Independent Business said that if the court had ruled for the worker in this case, employers would be subject to damages for innocent decisions made years ago that would be difficult to defend because of the passage of time. The case is Ledbetter v. Goodyear Tire & Rubber Co., 05-1074.